In a move designed to significantly enhance its service on the China-Indian Subcontinent trade, Evergreen Line is teaming up with K Line, COSCO, Wan Hai and PIL to offer two new joint services from early September. Both will provide direct calls at Karachi and Mundra and will improve current transit time. The PMX (Pakistan Mundra Express) service will utilise six ships of 4,200 TEU and call at Qingdao, Shanghai, Ningbo, Singapore, Port Klang, Karachi, Mundra, Colombo and Singapore once more before returning to Qingdao. The first sailing on the Evergreen Line's service is scheduled to depart from Qingdao on the 4th of September. The PIX (Pakistan India Express) will employ five ships of 4,200 TEU. This service is scheduled to commence with a sailing from Jiangyin (Fuzhou) on the 8th of September and call at Hong Kong, Nansha, Shekou, Singapore, Port Klang, Colombo, Karachi, Mundra, Port Klang and then back to Jiangyin. 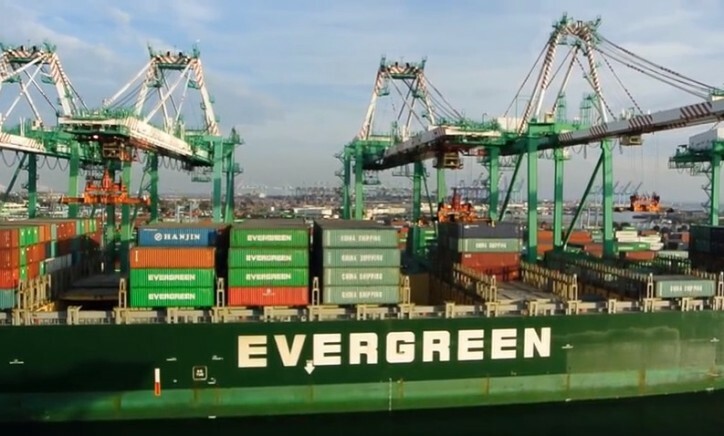 In addition to providing efficient shipping service between China and Northwest India as well as Pakistan, the pair of regional services will also further expand Evergreen Line's global service network by improving connectivity via its transhipment hubs in Singapore, Port Klang and Colombo.